This book examines the central role that voluntary clubs and societies played in fostering various forms of local, regional and political identity in modern Ireland over the course of some 200 years. It is unique in the scope of its treatment of associational culture and sociability in Ireland from c.1750-c.1940. Categories: 20th Century History, 19th Century History, Social History. This book examines the central role that voluntary clubs and societies played in fostering various forms of local, regional and political identity in modern Ireland over the course of some 200 years. 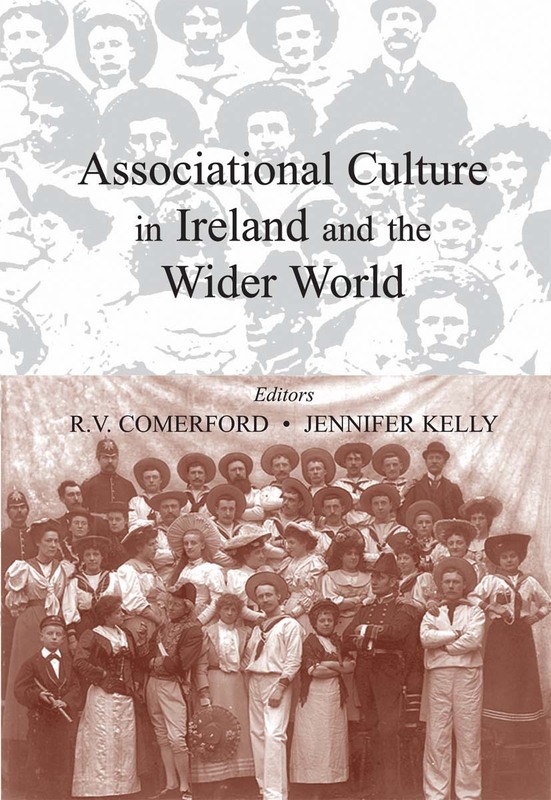 It is unique in the scope of its treatment of associational culture and sociability in Ireland from c.1750-c.1940. Concentrating on various forms of voluntary activity from the eighteenth century onwards, the chapters focus on numerous themes in Irish and Irish emigrant history. Among them the development of civic consciousness in eighteenth-century Irish cities, the fostering of nationalist and loyalist formal groups in emmigrant communities and the central role that voluntary clubs and societies played in fostering various forms of local, regional and political identity in modern Ireland. A fascinating read for all interested in, or pursuing research in the fields of social and political networking in modern Ireland, or those interested in seeing how their clubs and societies originated and changed. R.V. Comerford is Professor Emeritus of History at NUI Maynooth, where he was head of department from 1989 to 2010. He was an NUI graduate (BA and MA) at NUI Maynooth and has a PhD from TCD (1977). Dr Jennifer Kelly is currently a contract lecturer in the Department of History at NUI Maynooth. She was previously the project fellow on the IRCHSS-funded Associational Culture in Ireland project (2006-9) at NUI Maynooth.